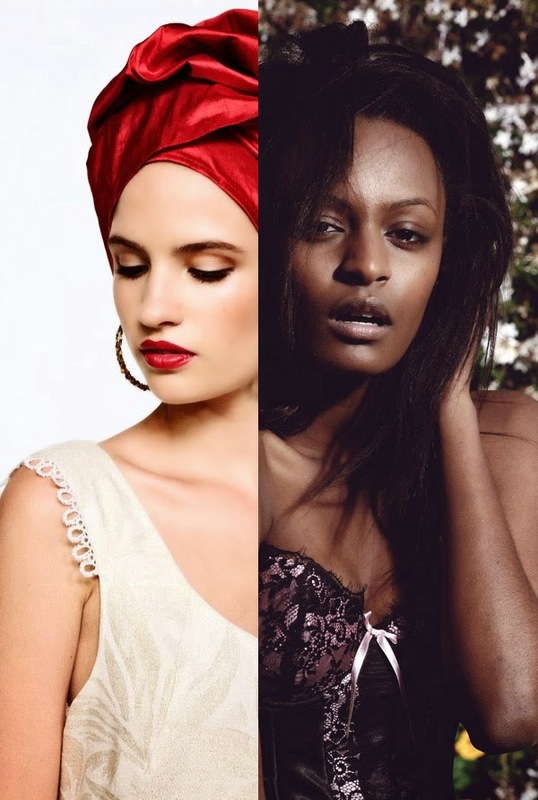 Shooting Fashion in Studio or on Location, What's best for You? 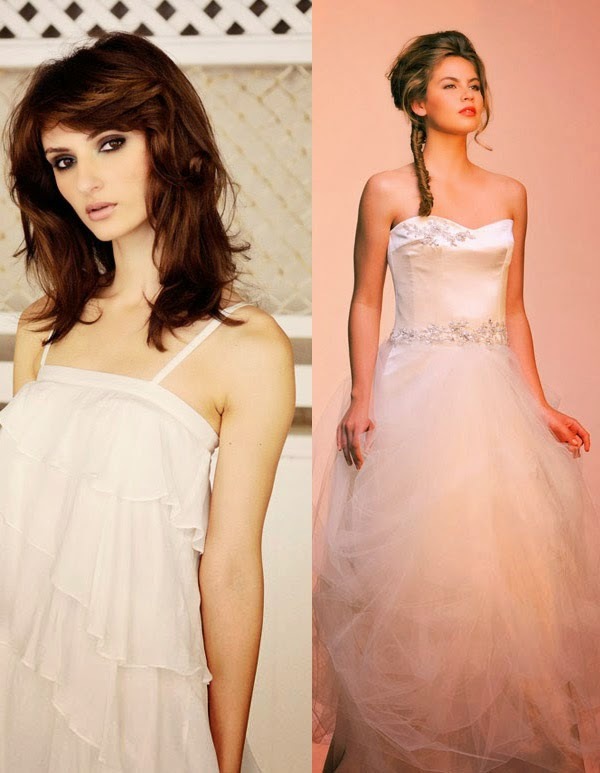 Studio vs Location, what works best for your fashion or accessories.. The first question to ask yourself is..
are the pictures going to define your Brand or are they marketing collateral and just what does that mean? By way of explanation, I was a guest at a luxury jewellery store last week for VFNO, and that store as part of a successful international company had both branding pictures and marketing collateral pictures, they had a big beautiful picture book and boxes of postcards too.. the branding pictures were of Danish super model Helena Christensen in moody black and white, and yes she is wearing the jewellery but the pictures are all about the style of the brand first, the immaculately styled jewellery second, the pictures are about who wears the brand. Along with these beautiful pictures of Helena are the clean and clear colour pictures of the jewellery against a white background, standard sales shots, well done, showing you exactly what you are buying, marketing collateral images to work alongside the heart pumping branding images to close the sale.. I'll take that one! Of course this being a bigger company who take their marketing very seriously they have not stopped there, they have also made luxurious still life pictures of selected pieces from their ranges, reinforcing the beauty of the jewellery pieces, objects of desire, in and of themselves. Scroll down to read on. The branding pictures are always about key pieces. It does not matter if it is jewellery, handbags, dresses, swimwear, shoes or jeans. The flagship pieces from the range get the special treatment as part of a campaign. The Campaign shots define the Brand and who is the brands consumer. Confuse your message or do a half-assed job (excuse my French) and you will confuse your customers, and confused customers shop elsewhere. The message you want to tell about your label is Who you are and Who wears your Brand. If this is what you need pictures to do - you want Branding Shots! If all you need to do is show your garments..
your items; if you are thinking about direct-sales pictures then you are most likely thinking about marketing collateral images; or, Look Book pictures as they are most popularly referred to. Of course there is no such thing as "if all you need"! Every picture is important as they are all part of the buyers journey, part of the path that leads to a sale. These pictures which are often considered secondary or less important images.. they are not; need to be well lit and well focused and well framed to show details of your product as clearly and cleanly as possible. With the growth of e-commerce and web-stores this kind of image has put a LOT of pressure on retailers and designers to show all the range in pictures for the first time ever as the clothing racks move out of the high street to on-line. As a result of that pressure many have 'dropped the ball' or failed to gain any web traction at all. Get these pictures wrong and your product won't be walking out the door, you will be losing sales and maybe even closing your doors, on-line is that competitive. So how do you decide which way to go to make the most of the budget you have for your fashion photography and make the right decision, Studio vs Location about where to shoot and how to shoot it? These four points should help you make the right choice. Great Look Book shots can make for very good Branding shots too. If your budget is limited, spending a little extra time on two or three key outfits, perhaps with additional styling can give you the hot shots you need to sell your Brand. You will need the RIGHT MODEL and a photographer that can deliver the quality you will need to pull off this miracle feat. Experience can make all the difference here so investing in a good, experienced, professional photographer is money invested now, for the future sales that will grow your business. Branding shots made in the studio will require a lot more than booking a photographer the studio and a model. To pull off studio branding you will need to design and style a set and this of course costs money! While locations can cost money too, many locations can be photographed for free, you may need a pre-plan for elaborate Hair and Make-Up (H&MU) but if you plan well with your photographer location can be the perfect choice for branding shots on a budget. Of course if budget is not an issue, well Hello, the world is your oyster! You can shoot Look Book on location but you need to be very organised! Even if you have a ton of equipment (lots do and use it badly) you need to take account of the sun. The sun changes all through the day making it a big call to create a consistent Look Book look.. If your range is small it can be done, if the range is large and the budget small, book a studio; just trust me on this one. Sophistication is cheaper in the studio! A LOT if not most of the greatest dresses ever made from the greatest fashion houses of the world.. have been photographed against a simple white or black or 'canvas' background. This is one of the great traditions of Fashion Photography. Of course not every studio picture shot in this 'style' cuts it. You still need a photographer who knows their stuff; great photography, great lighting, a fabulous model (a little luck won't hurt), the right attitude. Just remember, camping is the enemy of sophistication, what was hot in 1959 is completely camp in 2014! Everything in photography takes time, and money. A budget of $300 won't buy you dinner at a top restaurant but it will by you dinner at a McDonald's; where do you see your buyers wearing your Brand? Festivals cost hundreds of dollars to attend; are your pictures going to grab the attention of your customers? Every photo shoot requires some sort of budget but if you are starting out its quite likely smaller rather than larger, though hopefully not too small to do the job at hand. What's right for you, Studio or Location, or maybe both? When it comes to shooting fashion there is always a lot to decide; hopefully this blog post answers many of your questions. Mind you it is a lot to take on-board so don't hesitate to ask me about any queries you might have in the comments below. And yes, do contact me about photographing your fashion or accessories range, I would love to be involved with your fashion project. Jewellery campaign and branding shots photographed in the studio, studio as location. All text and photographs by Kent Johnson. Copyright 2014. Talisker Whisky & Johnnie Walker Black Label - Social Media Marketing via Leo Burnett Australia. About a month or so ago I was approached by Leo Burnett Australia to do some work on a social media marketing, father's day campaign for Johnnie Walker Black Label 12 year old Whisky and Talisker Single Malt 10 year old Whisky. For the two different brands I created two distinct sets of images for use on instagram, Facebook and for blogging; two different sets of images that were ultimately tied together by the use of a hat motif. 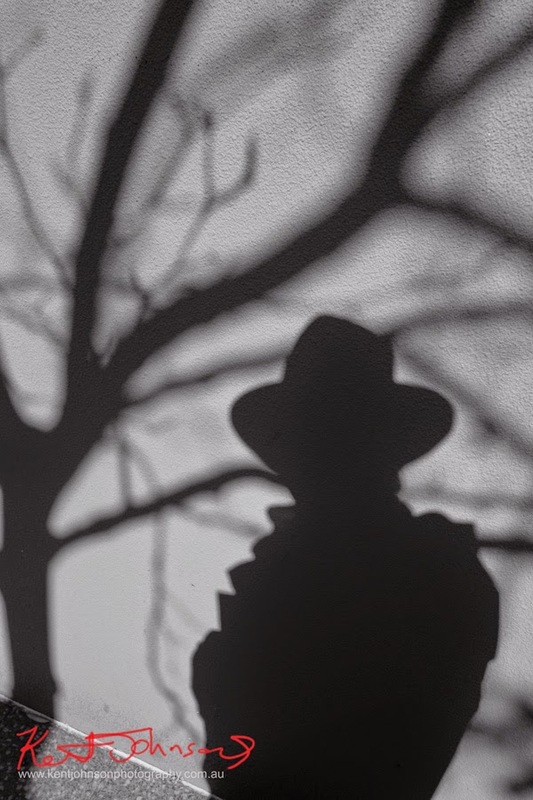 For the Johnnie Walker shots I created a set of 'walking man' shadow pictures in a Film Noir style. 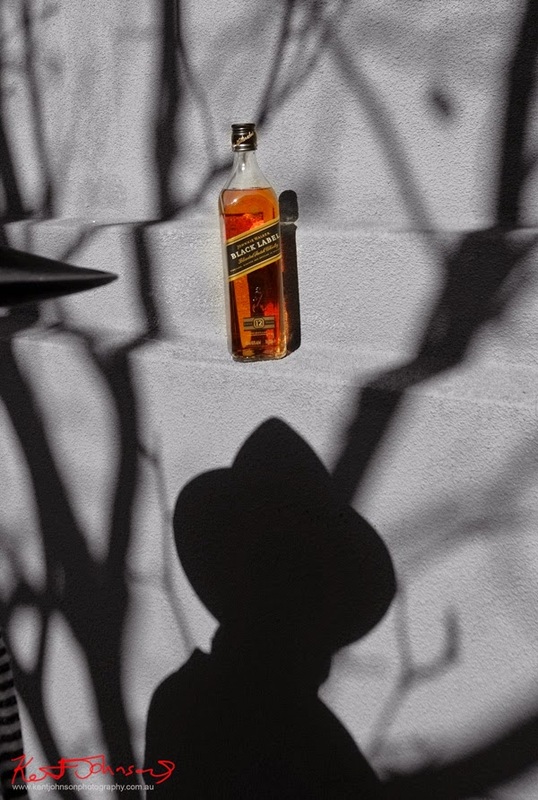 A journey where the hat wearing 'shadow' discovers Johnnie Walker Black Label whisky. 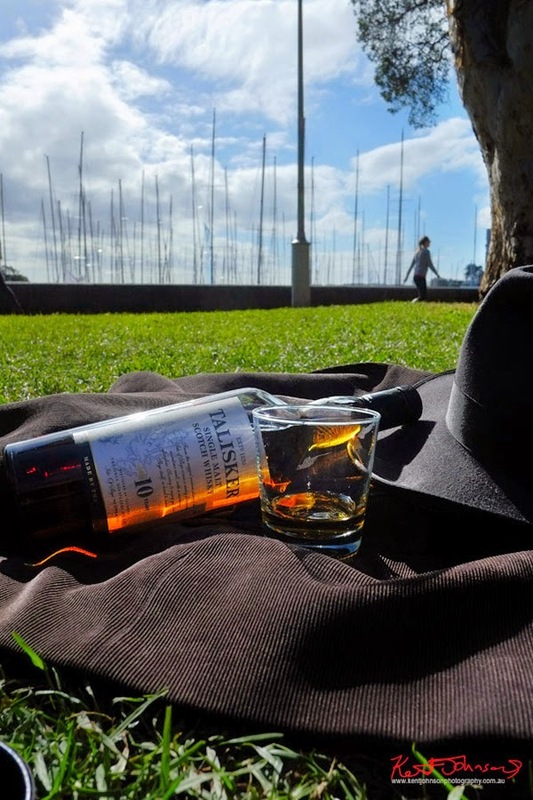 For the Talisker Whisky shots I worked with the idea of a whisky by the sea playing with Talisker's island heritage by using sailing boat masts in the background of shots, taken on a sunny day in a Sydney Harbour park. The hat reappears along with a cord jacket, a picnic in the park, a still unseen man relaxing with a single glass of whisky, setting a perfect tone for this Father's Day promotion. A thoroughly enjoyable project to work on with the added benefit of receiving some great whisky product to enjoy as well. All shot with the Fujifilm X-Pro1 camera.